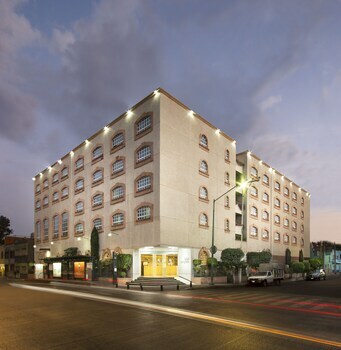 With a stay at Hotel MX congreso in Mexico City, you'll be 1.4 mi (2.2 km) from San Ildefonso College and 1.9 mi (3 km) from Templo Mayor. Featured amenities include a business center, a 24-hour front desk, and luggage storage. Free self parking is available onsite. With a stay at Hotel Palacio in Xalapa, you'll be a 4-minute walk from State Theatre and 9 minutes by foot from Los Tecajetes Park. Self parking (subject to charges) is available onsite.